If you are overeating and gaining weight, this binge eating therapy group is for you. Women join this group because they want to help each other make permanent lifestyle changes and leave their painful past behind. What members have in common is a deep devotion to self-awareness and the project of self-care and healing. The group meets weekly, on Tuesday evenings. As members leave this ongoing group, new members take their place. A 10-session introductory, educational therapy group is also available, meeting on Wednesday evenings. Membership is diverse membership by race, age, size, sexual orientation, religion, ethnicity, socioeconomic background. 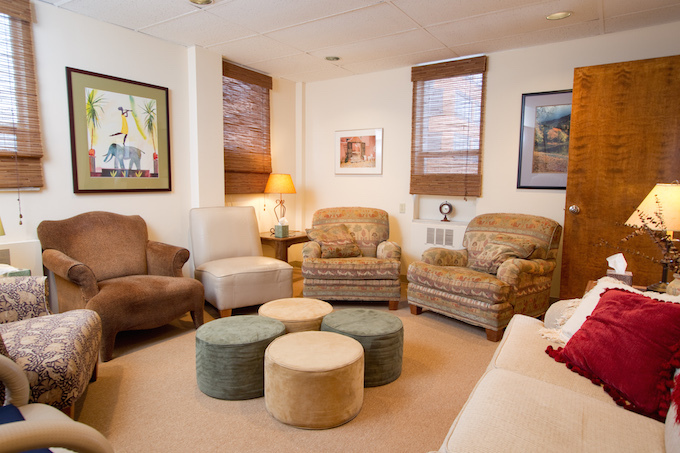 The cost of group therapy is $50 per 90-minute session and may be covered by insurance. 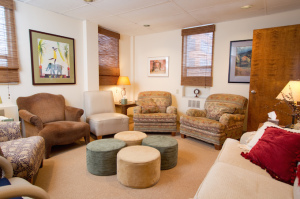 What are the benefits of group therapy for binge eating disorder treatment? Get support as you experiment with new eating behaviors and attitudes toward your body. Learn from other women who are on the road to recovery. Become more comfortable in relationships. Practice skills such as self-nurturing, conflict resolution, and assertiveness. Identify and cope with feelings that trigger overeating such as anger, sadness, loneliness, stress, anxiety. Improve self-esteem as you become more comfortable with yourself in relation to others. I am a Certified Group Psychotherapist. I attend regular training as part of the requirements of my credential. Make a referral if you are a professional caring for someone who might benefit from this group.